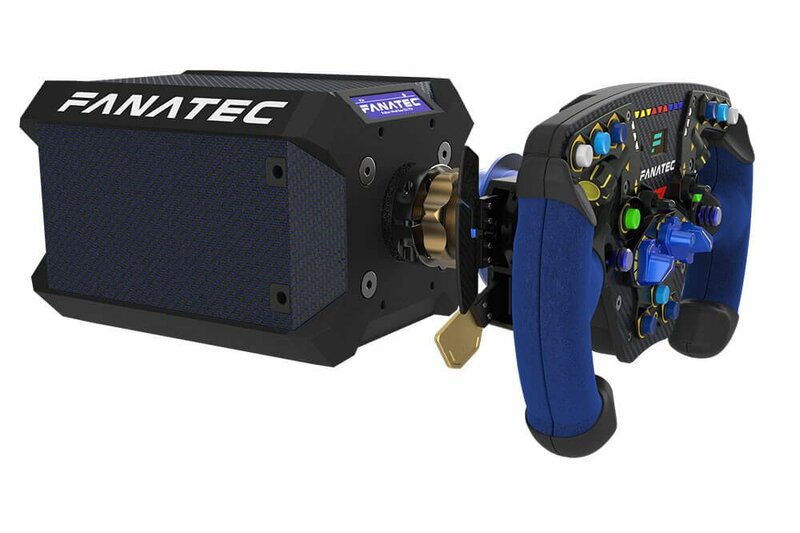 Fanatec has officially unveiled the Podium Racing Wheel F1, the first-ever direct drive racing wheel that is compatible with the PlayStation 4 console (it works with PCs, too). 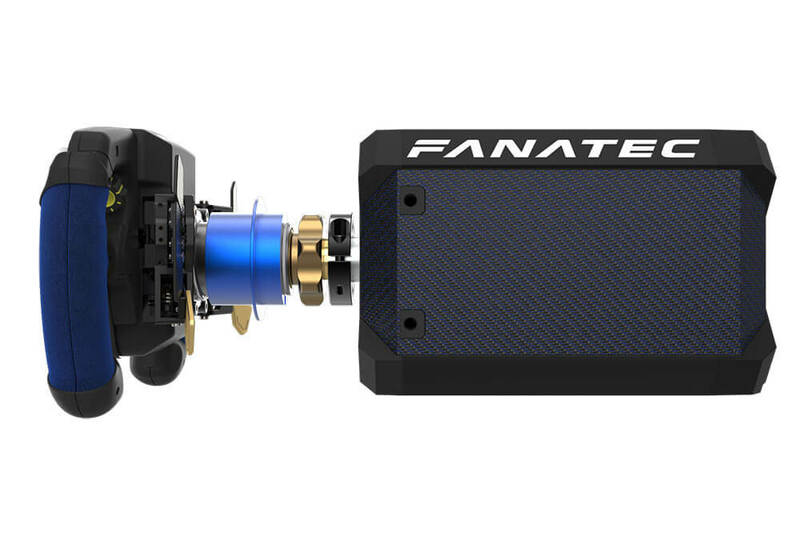 The wheel’s base is powered by the company’s DD1 direct drive system, which uses a direct drive motor that Fanatec has designed specifically for sim-racing. 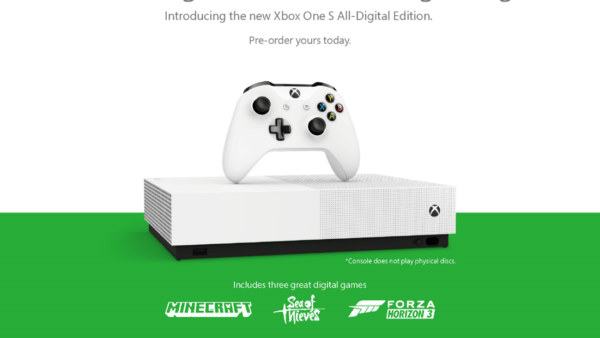 This particular model of the DD1, however, is the only one that will be compatible with the PS4. 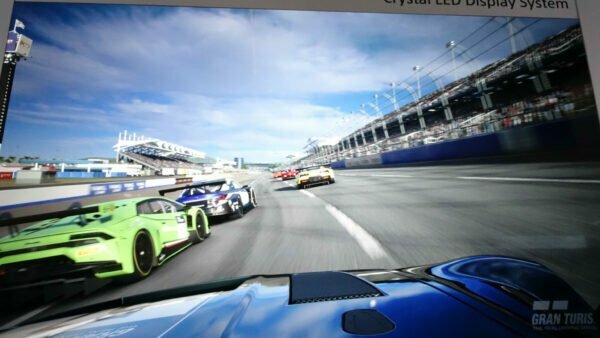 It comes packaged with a new ClubSport Steering Wheel F1 PS4 that includes multi-position switches, rocker switches, 11 buttons, rotary thumb encoders, and an OLED display. 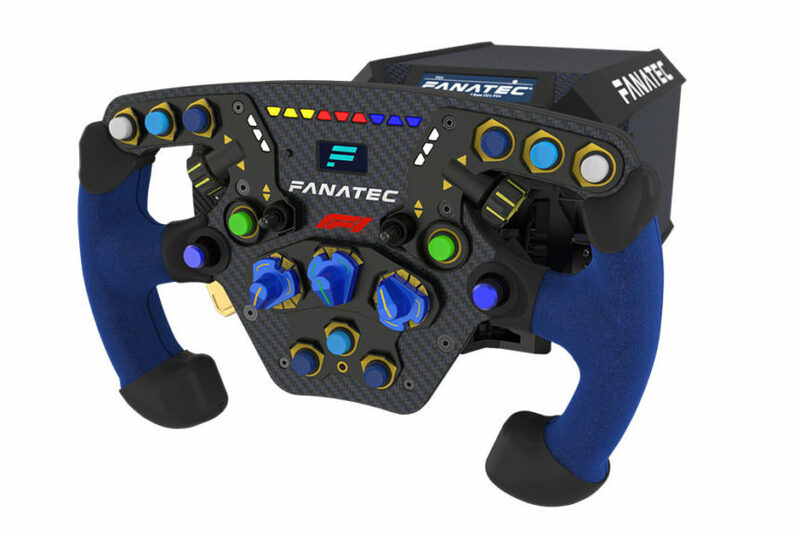 The steering wheel itself might look familiar: it’s based on the Clubsport Steering Wheel F1 that Fanatec revealed on Black Friday a few weeks ago. 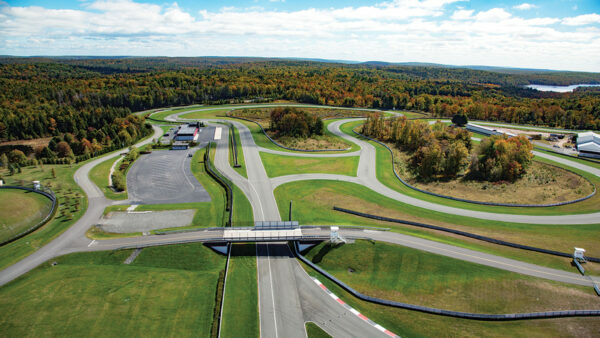 It’s also the wheel used by the official F1 Esports Series. 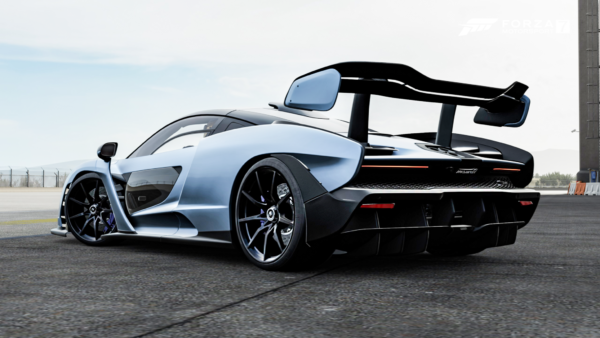 To keep it in line with the PS4’s branding, though, this version features blue carbon fiber and Alcantara hand grips. 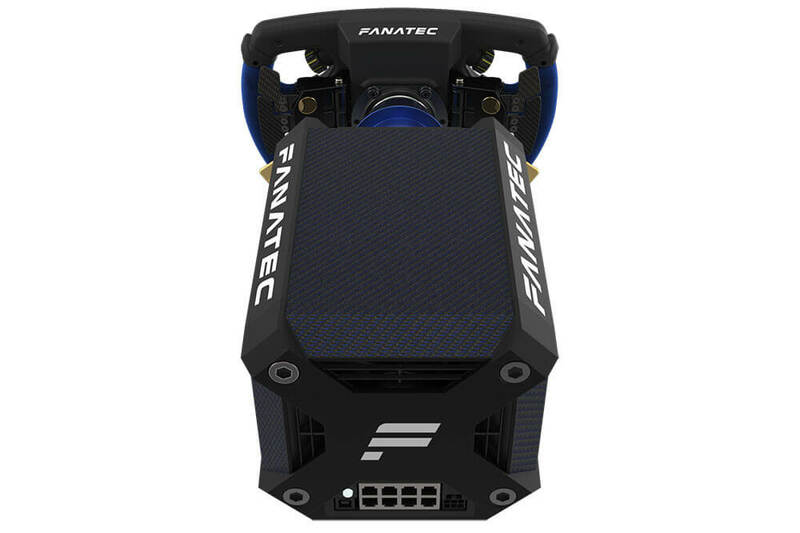 Also included in the package is Fanatec’s Podium Advanced Paddle Module, which consists of six paddle shifters (four magnetic paddles and two analog paddles) that sit just behind the wheel. 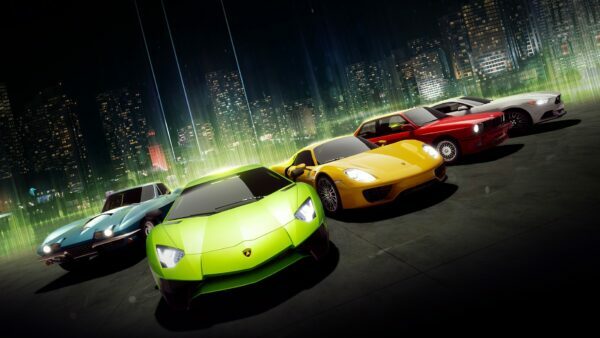 These allow you to change gears, activate systems like DRS, and simulate the clutch paddles found in modern F1 cars. 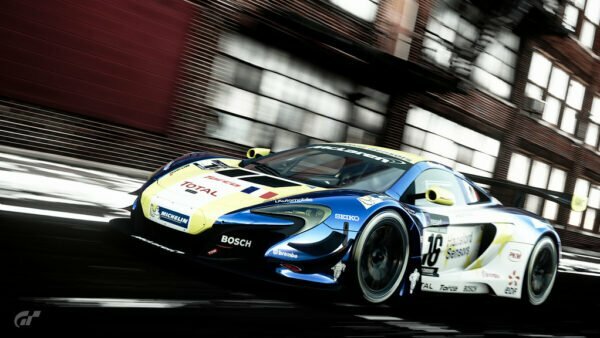 That is very expensive, but it’s roughly in line with what you can expect to pay for a direct drive wheel — and none of those will be compatible with the PlayStation 4. 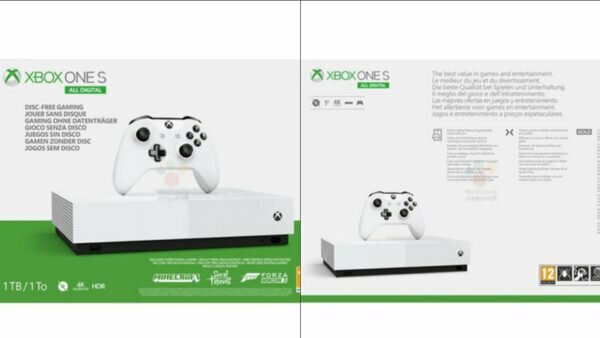 The aforementioned paddle set will also be sold separately for 179.95 USD/EUR. 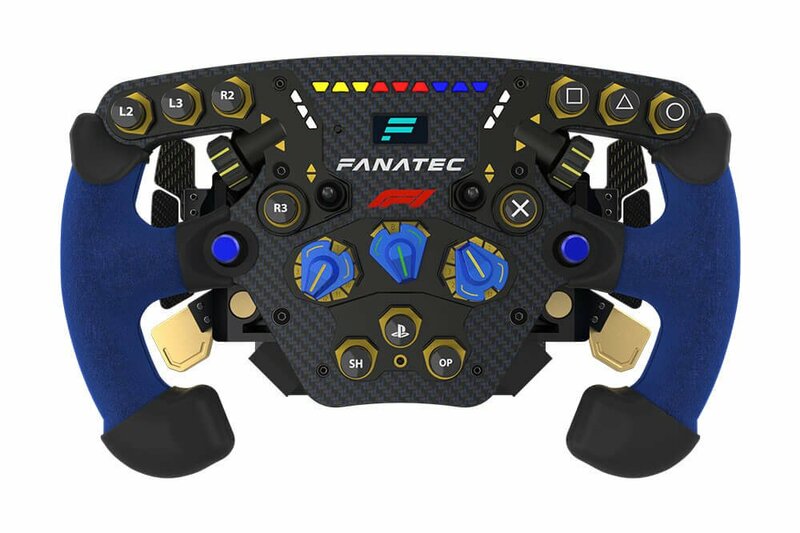 The Podium Racing Wheel F1 and Paddle Module will both start shipping at the end of April 2019. 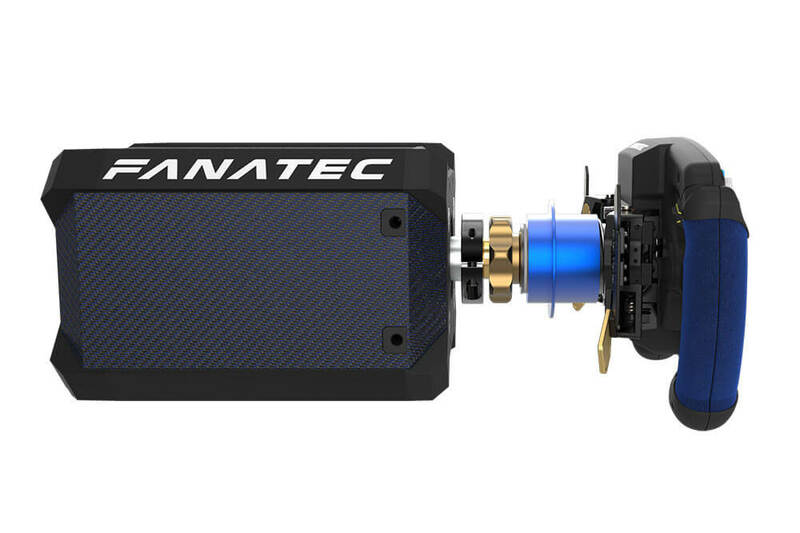 As with all Fanatec gear, it can only be purchased directly through Fanatec’s website. If you do decide to buy, please use our affiliate link, which will send us a small commission for the sale.